47 years before Ray Tomlinson had sent the first email via ARPANET. It was the test email describing something to the effect of QWERTYUIOP which he himself considered insignificant. Today, the emails have become the primary source of communication and in fact, it has become the one way to connect with the customers for the leading brands and the companies. There are different ways the email marketers customize the email templates and send it to the customers. Over the years, the way email marketers send the emails to the subscribers have changed and improved for all good reasons- email marketers adopting the anti-spam strategies during the early 2000s, attempting behavioral messages in early 2001 and many such improvements have taken place. Now all these methods have become past, therefore we have new innovations in the data collection means and the email provider technology. To create the email list, in the recent times, the two strategies is more functional- either to purchase the list or using the own customized email list. Once the list is available to you, sending the mass emails or blasting the emails at once to the customers had become a trend. At present, mass emails have become the past and if you think you are stuck with this old-school method for the better engagement, this blog is for you. For the newbies or the one who has heard little about the email marketing, you will learn to keep up with the new trends of sending the emails to your subscriber list. We have also shared the reasons why email blasting has become history and why you should not pay much attention to it. The present generation likes to stay socially connected via screens. Therefore, based on the studies, it has been found that 73% millennial like to be connected with their favorite brands via emails. Now, this does not give the green signal to the email marketers for sending the mass emails, spam emails or the irrelevant company newsletters. Instead, millennial generation wants to have the relevant emails from their favorite brands, adding the value to their inbox rather than just flooding it with the irrelevant ones. The email automation provides the relief to the email marketers to some extent. The relief is such that automated emails result in 133% more relevant messages conforming the customer’s purchase series. You will be happy to learn the fact that email automation works on the function of ‘set it and forget it’. 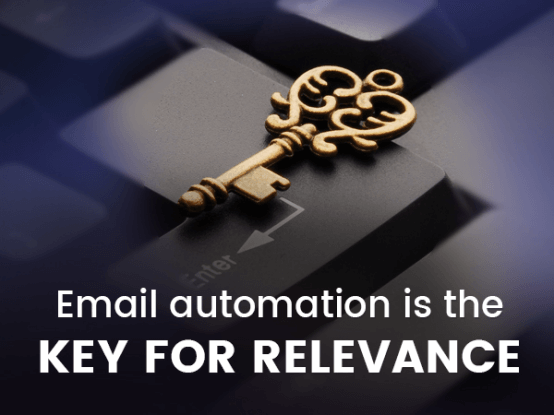 This means that the email automation strategy will help you to save your team’s working hours, increase the relevancy, reaching the customers in the real time. To sum up, the email automation in 2018 is all about the review and improve. The ‘review and improve’ approach to the email automation has already proven successful resulting in the positive outcome. The email marketing campaigns have proved to be successful when it was A/B tested before automation. 70.2% email campaigns have proved to be successful by A/B testing the automated emails once in a year. 94.7% email campaigns have A/B tested their transactional emails once in a year to make it successful. These statistics prove that email automation strategy for the email marketing campaign is the ideal one. As an email marketer, you must try your hand once over the email automation- sending the emails based on the subscriber’s behavior, and with that, you should also, review, test and if necessary, improve the automation strategy during this year. When we are discussing the email marketing, it becomes mandatory to discuss the personalization and segmentation of the emails. Basically, considering the email preferences of the subscribers- when they would like to receive the emails from you? On what occasion/ event? How they want the email to look? Do they ask you for newsletters or the marketing emails? More of graphical or content focused? There are so many things that as an email marketer you have to take care of. One ignorance to the subscriber’s preference, it can cost you to lose them. We have the statistics with reasons that proves why it is important to consider the personalization of the emails. Emails when personalized, it improved the CTR by 14% on average and email conversions by 10%. Personalized emails are delivered at 6x higher transaction rates. According to the 74% email marketers, focused personalization boosts the subscriber engagement. Segmented/ targeted emails generate 58% revenue. These statistics are quite convincing for the newbie email marketers. Email personalization means adding the subscriber’s first name in the template. There are many ways you can personalize the emails except following just one approach. In this approach, you can personalize the emails with by collecting the customer details, creating a customer profile and then grouping them in the list to send the relevant emails and messages based on the subscriber’s information. For an instance, you are running the e-commerce business of the footwear. Because you have the customer’s details about their interests and the preferences, you can segment them in the personalized lists. For your business, you can segment the list based on the gender. This will be helpful to you when you want to announce the launch of the new shoe collection. So, instead of sending the complete catalog of the new range of shoes to every customer, you can send the men’s collection to the male subscribers and women’s collection to the female customers. To provide the subscriber better experience, you can customize the email with the dynamic content. Changing the content according to the subscriber group or the customer profile can result in the better engagement and increased conversion rates. To personalize the email template with the content means changing the particular piece of the content otherwise keeping it same. 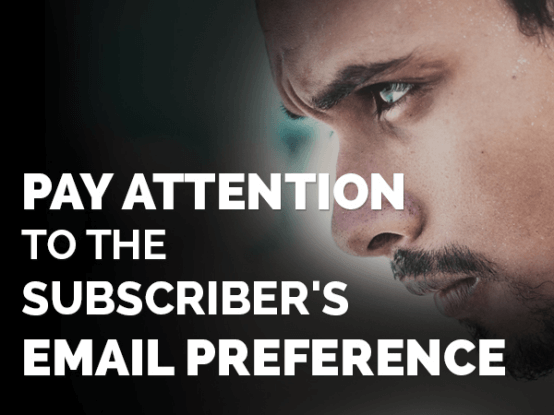 For an instance, you want to announce the new update about your business, thus wanting to send the same email content to every subscriber you have on your list. You are running the travel and flight booking business and thus sending the update at once to every customer will not lead to the better engagement. So what you will do? You have the details about the customer’s location. Based on it, you can add the content piece about the travel deals. These travel deals can be based upon the nearest airport of the subscriber. Therefore, you can generate the different and dynamic content based on the subscriber’s location. Such email personalization with the content will lead the loyal customers and also maybe you can earn some good profits. 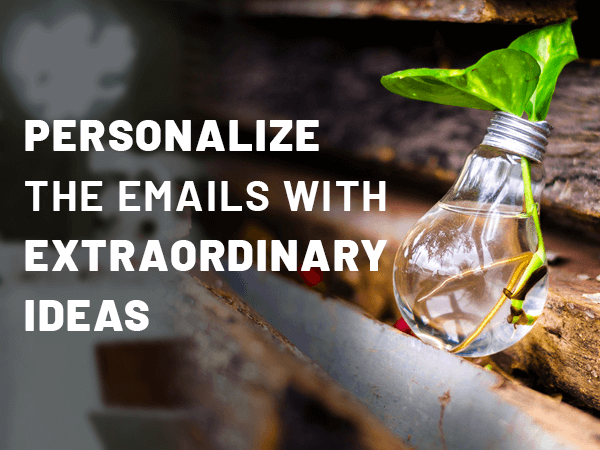 What we shared the above are the primary ideas for email personalization to utilize in the email marketing campaigns, although it depends upon the campaign’s nature. 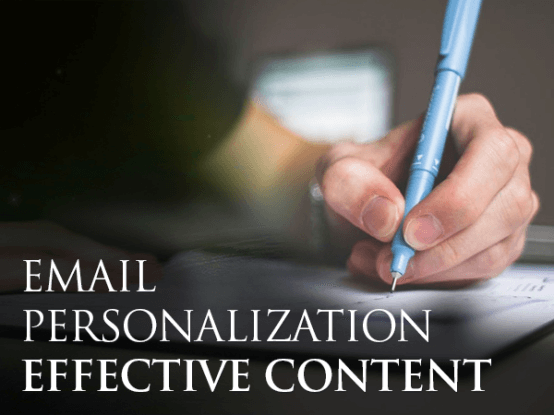 There are many other trending ways you can personalize the emails and create the relevant content for the different email subscriber lists. You can customize the email template with the following ideas as well. Post purchase emails: In this email template you can express gratitude to the customer for making the purchase from your e-commerce store. In the same email, you can then suggest the similar products or the offers. Preferred emails: The email can be personalized based on the customer’s preference details and information. Once you have the accurate info, you can then send the relevant suggestion/ preference emails. Abandoned cart/ Reminder emails: Personalize your email by encouraging or reminding the customer to complete their incomplete purchase. Send them the personalized the abandoned cart email, reminding them that the product in the cart is waiting to get purchased. The abandoned cart email strategy works well when the email is sent within the 60 minutes duration of the cart abandonment. Sending such emails soon after abandoned cart results in 40% open rate. Earlier, the goal of email marketing was to convert the leads into the sale. We call this idea commonly as marketing funnel. With the changing times, progress in the data collection and the email provider technology, thinking of the email marketing merely as marketing funnel, has now diminished. Now the time has come where the email marketing is considered as the ticket to earn the loyal customers. The intent of the email campaigns is to have the complete journey of the customer in the hands and maintaining the relationship with them. This will encourage the loyal customers to stay persistent with the particular brand. 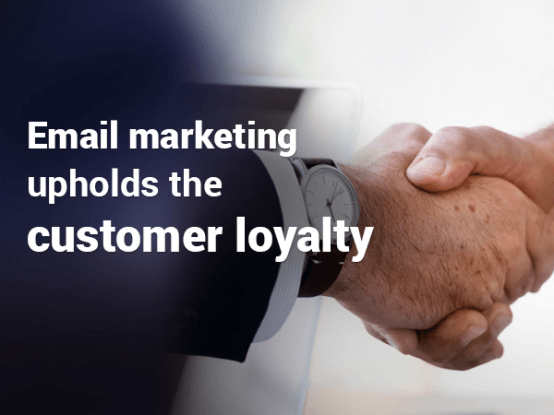 Why the loyal customers are important for the email marketing you may ask. Well, believing the numbers, loyal customers are worth up to 10X as the brand’s first purchase, 5% increase in customer retention can simply boost the brand’s profits by 75%. The new marketing funnel allows the leads to enter in the campaign during any stage, coming in the random order, each subscriber batting their eyes on the different things. The significance of the new email marketing is you can utilize it to attract the customer at every level of the funnel. For each stage of the funnel, email marketing strives to remain the leading medium. Email marketing, therefore, is strongly recommended to create the loyal customers for the maximum time rather than just keeping them as subscribers. 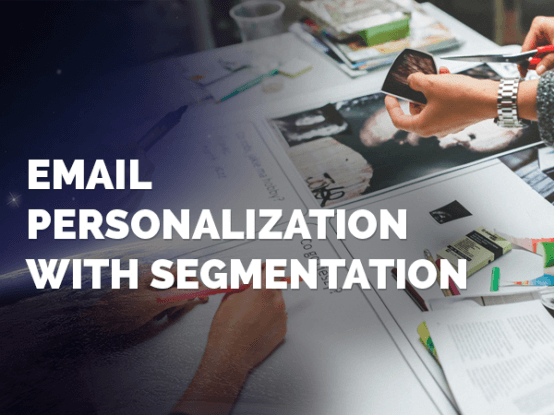 Not only this, email marketing with the personalization and segmentation will lead more success, increase sales, and will boost the customer loyalty. Since the last 47 years, the email marketing has been improving continuously and it will in the future as well. While email blasting and mass emails are the old strategies, many brands are still following although. After going through this article, you will learn and understand these both strategies are the history. Emails are the leading medium, working great for the marketing goals, meaningful subscriber list and increases customer engagement with your brand.